Brandon, tell us about you. Who are you? What do you do? Do you have other hobbies? 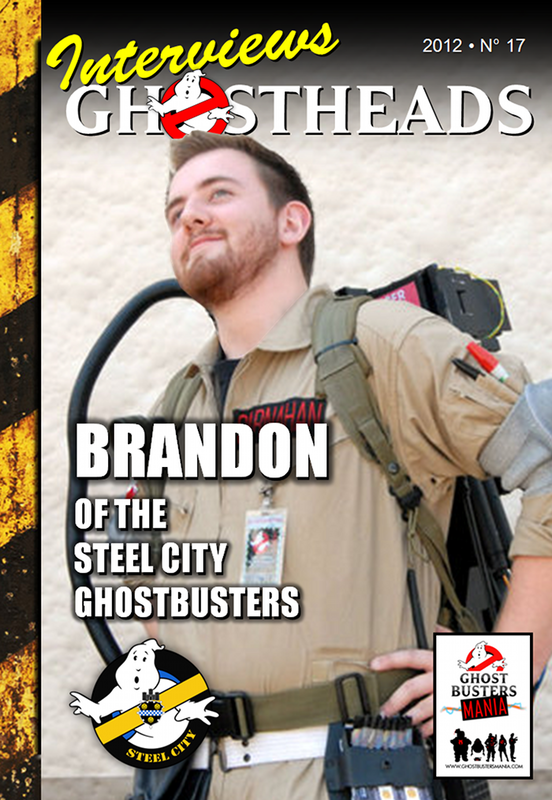 I’m Brandon Carnahan, I’m 23 and I am one of the co-leaders of Pittsburgh’s own Steel City Ghostbusters. When I’m not working on one of my Ghostbusters related projects, I’m working at a local Airsoft store selling, fixing and customizing airsoft replicas. I love to play airsoft, and I’m about to graduate with a degree in Technology Education. How was the passion for GB born? My love for Ghostbusters started at an early age. My first exposure was via the cartoons when I was around 5. It was by far my favorite show at the time. My mother would record episodes so that I could watch them later. I had a pretty big collection of toys, and the Firehouse Playset / Ecto-1 were the “crown jewels” so to speak. I was so familiar with the cartoon that when I finally got around to seeing the movie I was convinced that it was made as a result of the cartoon and not the other way around. Why and when did you start to create your equipment? My first set of equipment was made in 2008. It was really terrible. It was a collection of tupperware, foam board and odds and ends. I built that as part of a group costume with three other friends. At the time it was cool for the costume, but looking back it was really horrible. My second pack was what those in the community would call a “Garee Build”. It was much better than my first pack. I actually passed it on to another member in the group, so it lives on. My third and current pack was built after I met the other members of the old Steel City Ghostbusters. That was when I really dove into the community, saw what quality parts were for sale and I pretty much went hog wild and bought up everything I needed for a mostly accurate pack. I scratch built a Ghost-Trap in 2011 for one of my college classes (I got an A) so that was pretty fun. We see that you’ve participated in many events. Wich has been your favourite event until now and why? My favorite event, by far, was the 2011 Boston St. Patrick’s Day Parade. I knew it was going to be big, but the response we received just amazing. It was like living the end of the first film where everyone is cheering “Ghostbusters”. We were in great company up there with members from all over the North East. I made a lot of friends and a lot of memories that weekend. Right after that was when Sam and I ventured up to Fan Expo 2011 in Toronto with the crew of Cross the Streams. Toronto has never seen a better karaoke rendition of “Ghostbusters” than the one Brendan, Matt and I performed. What does it mean to be a Ghosthead? To me, being a Ghosthead is about getting involved with the fan community, making friends, making memories and if you’re a little crazy making props. Bottom line is that being a Ghosthead is being part of one of the coolest fan groups around. I’ve made friends across the country and traveled to many cities as a result of being involved with this community. I wouldn’t trade that for the world. What does it mean to you Ghostbusters group? For us, it’s about going out and having fun with friends. We do a lot of events and enjoy showing people our creations. Overall, we’re like a family. A big dysfunctional family, but the type of dysfunctional family that you like to watch on a sitcom because its funny, not sad. What are your plans for 2012? My plans for 2012….graduate (laughs). Hit up our usual haunted house locations, maybe win some costume contests. Basically, I’m going to try and make it out to every event that I can with my group. I look forward to it! Now, to conclude, do you want to say “hi” to all the fans in the world? 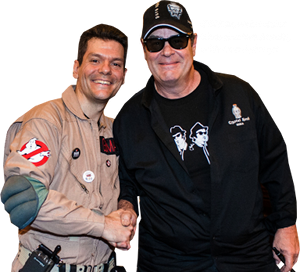 A gigantic “Hello!” to all the Ghostbusters fans across the globe! It’s been a pleasure!